The hotel Diamante Suites is located in the urbanization "Playa Turquesa", in the tourist town of Puerto de la Cruz, in the north of the island of Tenerife. It is located only 300 meters from one of the most beautiful beaches in the area, "Playa Jardín". 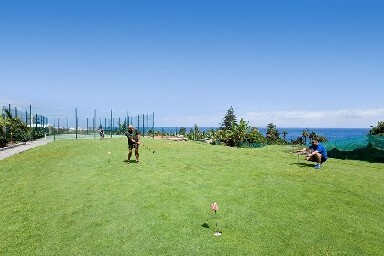 In its environs are also many other points of interest such as the "Loro Parque", the old city or the Valley of Orotava. Our hotel offers comfort in a facility designed to meet any need that arises. Enjoy your vacation in this area of the Canary Islands, taking advantage of our modern facilities and the most meticulous service. The Hotel is well communicated with the capital Santa Cruz and the rest of the island. The Bus Station (Estacion de Guaguas) is near the hotel (300 m.). Distances. North Airport: 20 Km. South Airport: 75 Km. Puerto de la Cruz City Center: 1,5Km. Santa Cruz de Tenerife: 32 Km. The Diamante Suites hotel has 174 Junior Suites, all with a careful design and an inviting decor. Each Junior Suite has a bedroom, separate lounge, and a complete bathroom. 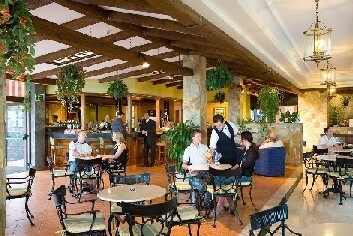 Buffet with local & international cuisine. Show cooking and island dessert . Canarian Buffet each week. Evening live music, Shows & Cocktails. Dinner service at table. Previous reservation. Taste our specialities in grilled meat, and a great variety of mixed salads, beside the pool. Previous reservation. 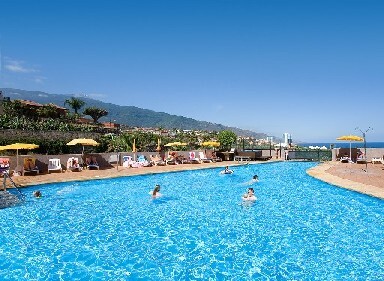 -Solarium overlooking the sea and Teide . -Special attention to repeating customers . -Swimming pool towels ( in deposit ), sunbeds and umbrellas (without charge) . 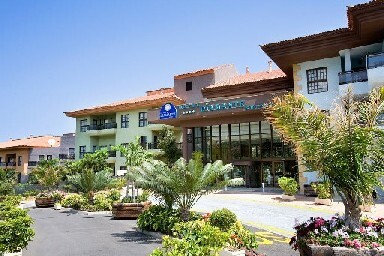 The Diamante Suites Hotel are not allowed to use the services of Turquesa Playa Hotel. - The gym is closed for renovations. Alcoholic drinks from leading national brands (except black labels and similars).